Click on the Virtual Tour link and view the unit in #3D! Tuscany in Chicago! Beautiful off street quiet and upper tri-level townhome with PRIVATE ELEVATOR to your foyer in prime Old Town location in a gated courtyard complex with beautiful gardens. Open floor plan and hardwood floors on the Main Level with crown molding, fireplace and surround sound. Kitchen includes new Wolf range, Viking fridge and microwave, Bosch dishwasher. Serene private deck off family room on Upper Level. Lower Level Master includes lux bath & walk in closest, office + 2nd bedroom w/ dual closets and ensuite bath. 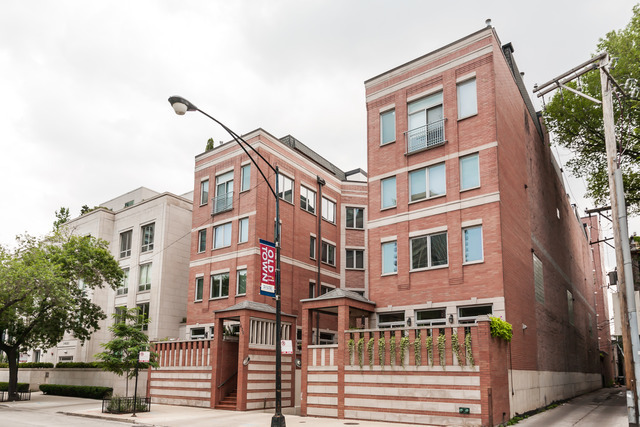 This property lives like single family home w/ a short walk to Lake, Lincoln Park, Old Town restaurants, North Ave Beach, Art Fair, Air and Water Show, public transit and shopping. 2 HEATED PARKING SPOTS AVAILABLE. THE 1ST INCLUDED IN LIST PRICE; THE 2ND SPACE IS AN ADDITIONAL $35K. Property information last modified by seller on Thursday, September 06, 2018, 10:57 AM CDT. Information Deemed Reliable But Not Guaranteed. Unauthorized duplication, use, or linkage is prohibited. The information on this web site is for personal, non-commercial use and may not be used for any purpose other than to identify prospective properties consumers may be interested in purchasing. Monthly Payment Calculator results are for illustrative purposes only, not a financing opportunity; calculations assume a 30-year fixed-rate mortgage and do not include closing and other costs. Property Tax on NEW properties is estimated at 1.5% of Listing Price for payment calculation purposes; actual value may be higher or lower.